The end of the year always makes me a little nostalgic. I miss my classroom and the conversations that came up at the end of the year. By that point, we had talked through so many books and so many of the big life issues that came up in that process that we knew each other well. I really enjoyed the challenge of the “I don’t like to read” student. Even with the juniors in my English III classes, we used the reader’s workshop model, so students were given a choice (often with some guidance with regard to genre or subject–but not always) about their reading selections. The “I don’t like to read” student is really the one who hasn’t found the text that is just right for him. Just the right subject. Just the right cover to pique his interest. Just the right length. Just the right reading level. In general, I always like a puzzle, and I really like one that could end in seeing a student learn that he, too, can be a reader. In my current role as an assistant principal, I still share books with students. But what I’ve come to enjoy in this role is the conversations I have with teachers about their own professional development and what I might have on my shelves that could help push their thinking further. I often run across people on social media who are looking for that next title to push their thinking, and I thought I would take the opportunity to share some of the books on the shelves in my office (and a few that I’m looking forward to reading). I went back and forth about how to organize them, but I’m leaving them as just one big list. Browse through them. Search out reviews for one or two before you make the jump. Download a sample to your e-reader to see if it fits your tastes. But, more than anything, take time to get yourself heading in the right direction as we approach the biggest break and change of pace that educators get all year. I’m always happy to talk about books, so reach out to me on Twitter (@aaron_hogan) or Voxer (@aaron_hogan) if you have any questions. Finally, I’m always looking to add to my shelves (even though I’m on a shelf “cap” at home–no more room along the walls). What should I add to the list and why? Without further ado, welcome to my bookshelves. 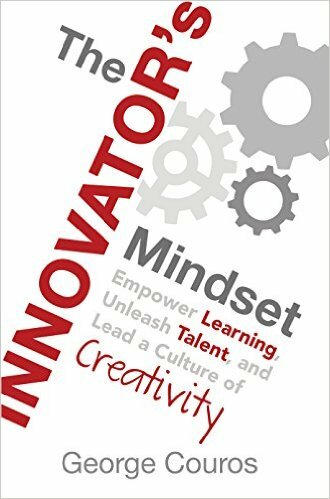 The Innovator’s Mindset by George Couros asks educators to consider what it will take to help all educators, teachers and administrators alike, to grow into forward-thinking, innovative leaders. Couros is widely respected throughout education (if you’re not following him on Twitter, click HERE and enjoy), and his text does not disappoint. Don’t figure out if you’re going to read this; figure out when. 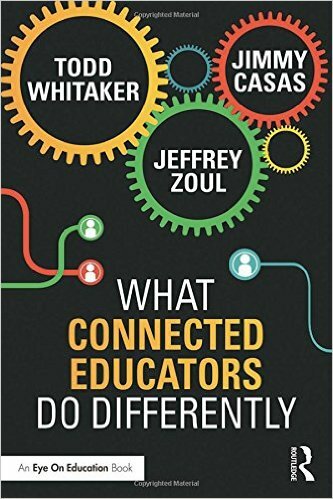 In What Connected Leaders Do Differently, Todd Whitaker, Jeff Zoul, and Jimmy Casas collaborate to create a thorough yet streamlined text that explores the role of connected educators in today’s educational environment. Whether you are looking to get connected or are already swimming in the deep end, this book will challenge you to engage in new ways. This is a book to read and reread. When you do, you’ll be encouraged by your growth and challenged by the number of simple reminders to push you forward. 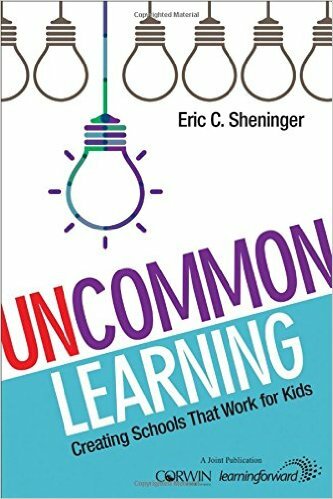 Uncommon Learning by Eric Sheninger explores a number of aspects of education that educators need to be aware of (if not implementing ourselves) right now. From makerspaces and digital learning to BYOD and digital badging, Sheninger has both the educational experience and the expertise as a writer to communicate clearly on each of these important topics. Rooted in his practice during his time as principal at New Milford High School, this text will push you to explore new ideas in new ways. Adam Saenz’ The Power of a Teacher should be required reading for educators. As a clinical psychologist, Saenz brings a wealth of experience to educators as he dives into educator wellness. 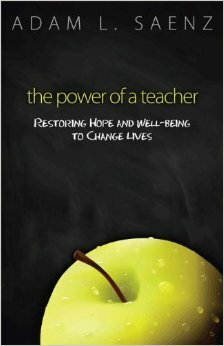 The Power of a Teacher explores physical, emotional, spiritual, financial, and occupational well being for educators. Saenz’ stories are poignant and heartfelt, and they serve as a reminder of why we all got into this profession to being with. It has my highest recommendation! 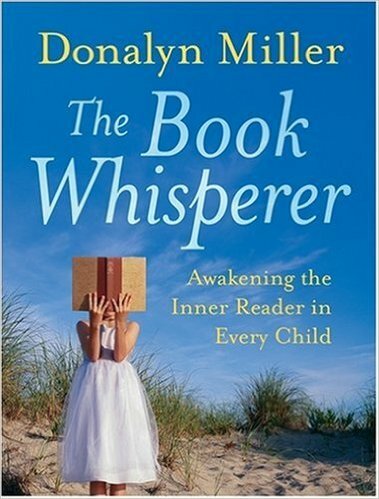 Donalyn Miller’s The Book Whisperer is a game changer of a book. As a former English teacher, Miller’s take on literacy and reading in the classroom is an easy sell. But The Book Whisperer is a book for everyone. It will stretch you, and parts of that will be uncomfortable. But in the end, you will be better for it, and so will your students. Developing students as readers is vital to their success across all disciplines. If you’re excited by this, read it. 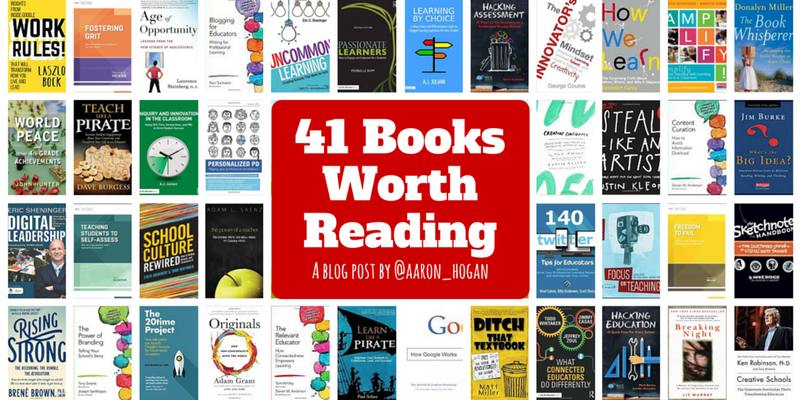 If it freaks you out to think about being a reading leader, read it. Just read it. 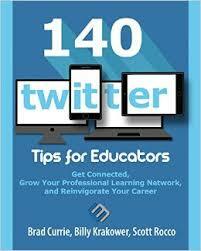 140 Twitter Tips for Educators is quite simply the best primer on Twitter use for educators that I have ever come across. It’s not surprising that a project developed by #SatChat creators Brad Currie, Billy Krakower, and Scott Rocco would be excellent, but even with the highest of expectations, their text did not disappoint! I feel quite comfortable personalizing my learning on Twitter, but there was a ton I learned from their book. This is a book every educator needs to own. Either it’s time to learn or it’s time to get this and share it with a friend! 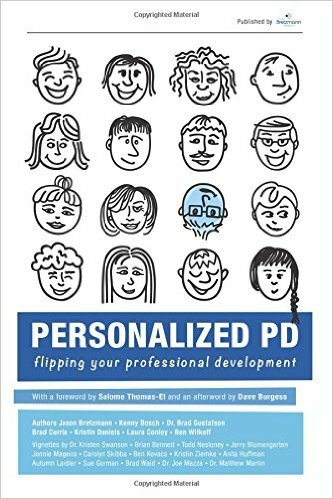 Personalized PD brings together a host of connected educators who have flipped much of their own professional development. 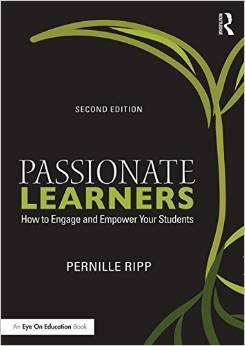 It’s great as a primer or as a challenge for educators who are comfortable with their level of connection currently. The personal vignettes set this text apart from others on the topic. The front cover lists Jason Bretzmann, Kenny Bosch, Dr. Brad Gustafson, Brad Currie, Kristin Daniles, Laura Conley, and Ben Wikoff as authors with 14 more contributing vignettes. 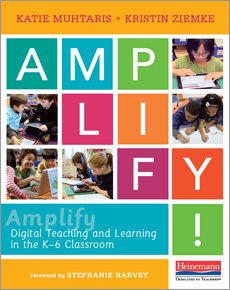 Even though I’m at a high school, I’m really enjoyed Amplify by Katie Mutharis and Kristin Ziemke. Their slim volume is a great overview of not only how technology can touch so many aspects of our schools, but also when and why it should integrate with sound pedagogical practice. The authors are risk takers, and we have a great deal to learn from their experiences. I love the “Three Things to Try Tomorrow” sections that end many chapters. EdTech isn’t a new idea, but their reflections on the topic are well worth your time. 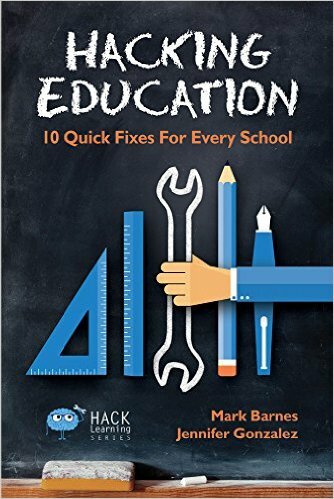 Hacking Education by Mark Barnes and Jennifer Gonzalez is best described by it’s subtitle: 10 quick fixes for every school. What I love about the Hack Learning Series is that more than most of what I read, the authors are willing to take on the tough questions that come along with their proposed changes. This text pushed my thinking, and I’m sure it will do the same for you. I’m thoroughly intrigued by the no grades movement. 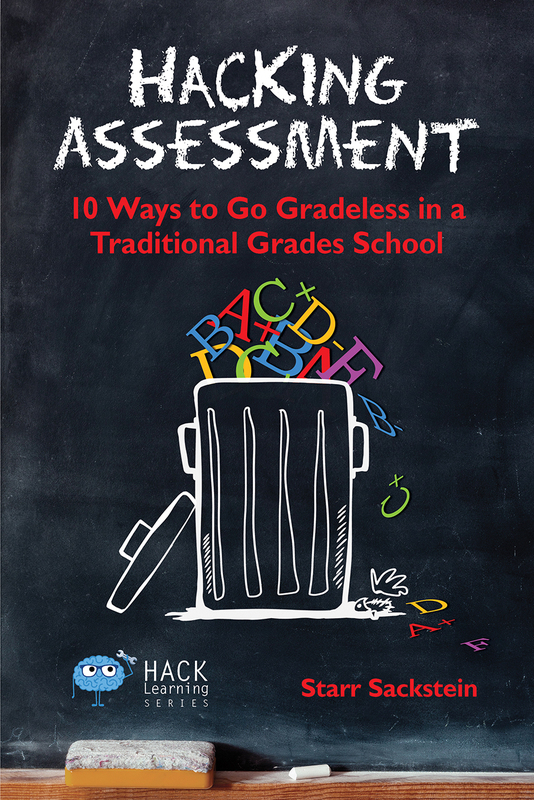 Starr Sackstein’s Hacking Assessment is a great primer on why to consider no grades and how to take the first steps. Her book includes several helpful tips for common push back that accompanies this conversation. If I were in the classroom, I would be using her advice to find my way through this conversation. Instead, I’m working on ways to challenge interested teachers to consider what she has to offer (and the huge upside for students to be able to continue their learning past each test). 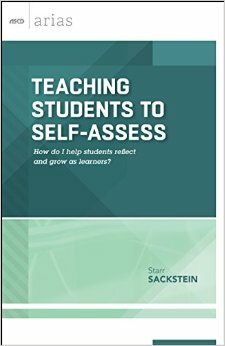 Teaching Students to Self Assess is Starr Sackstein’s 55 page exploration of the question: “How do I help students reflect and grow as learners?” Sackstein has assembled an accessible introduction that is great for any who are considering helping students learn to self-assess. While it absolutely applies to the classroom as you would expect, administrators and leaders can apply the same logic to their work with educators. 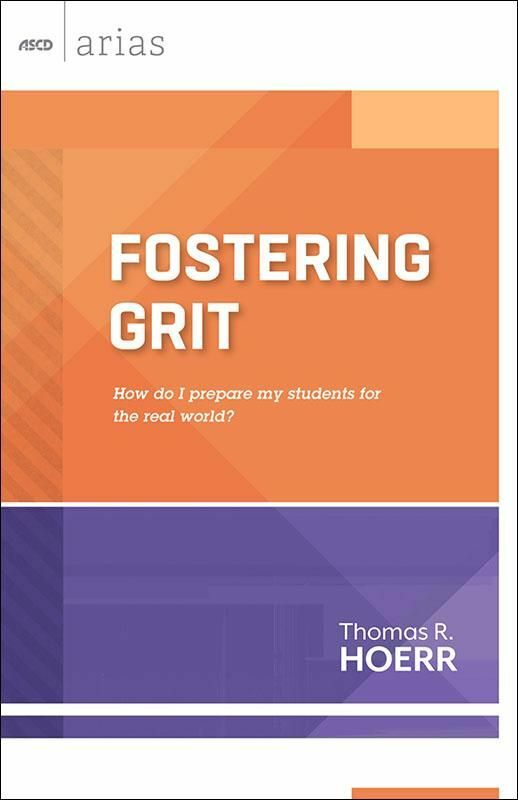 In Fostering Grit, Thomas Hoerr looks at how we are working to make sure our students are prepared to take on the world outside our schools. I love his driving question, “How do I prepare my students for the real world?” Hoerr’s 52 page volume is a great primer for those wanting to enter into this conversation. I’m thankful his primer is out there. 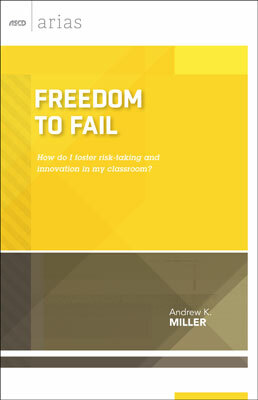 Freedom to Fail asks the question, “How do I foster risk-taking and innovation in my classroom?” Andrew Miller’s book offers essential reminders for educators who seek to do just what the title says, regardless of their experience with the idea. Even at just 48 pages, there’s still plenty here to push your thinking. Dr. Laurence Steinberg, a developmental psychologist, shares his expertise on adolescence and how we can best take advantage of this seminal time in our students’ lives. His perspective is so refreshingly different than most of the literature that hopes to equip teachers and parents to survive this time. 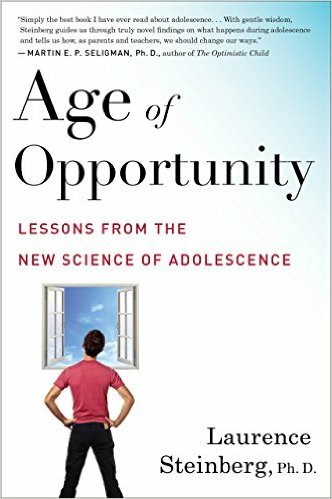 Steinberg’s expertise and optimism are a powerful combination, and though this might not be on the radar for many educators, Age of Opportunity is absolutely beneficial for our work. 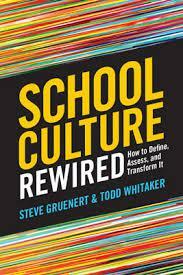 School Culture Rewired by Steve Gruenert and Todd Whitaker is required reading for anyone looking to make significant change in the prevailing attitudes on a school campus. This text will help you walk through the steps required to initiate an influential change on campus without bogging down into the minuscule details and minutiae that can seem to slow the pace of other texts. School Culture Rewired comes in at 170 pages. 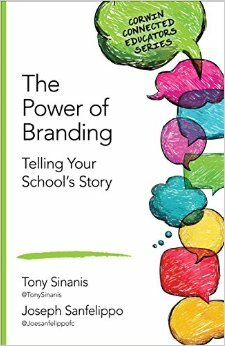 Telling your school’s story can’t be undervalued, and Tony Sinanis and Joe Sanfelippo are two of the best at crafting a meaningful, authentic campus story. The Power of Brandingis part of the Corwin Connected Educators Series (which I can’t recommend highly enough), and at just 72 pages, you’re not going to get bogged down in fluff. You will have to deal with this though: Each page has something meaningful for you to consider, so don’t plan on blowing through this just because it’s a slim volume. A.J. 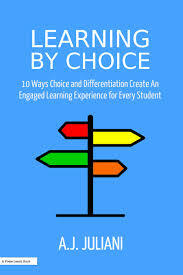 Juliani’s Learning by Choice is required reading for anyone looking to include more student choice in the classroom. (And, let’s be honest, who couldn’t benefit from hearing more about choice in the classroom, right?) This has heavily influenced my beliefs about choice in professional development as well. I wish I had read it while in the classroom. 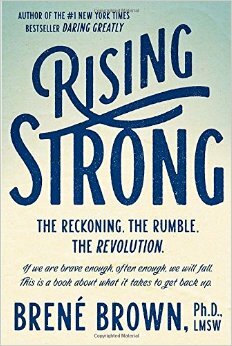 Rising Strong is one of those books that reads really quickly but leaves you with so much to think about that you can’t digest it rapidly. Brené Brown’s latest book investigates what happens after we take the risks that are oh so popular for us to discuss. The reality is that we end up with what she describes as a moment where we are face down in the arena, and we have to be able to pick ourselves up and move forward, learning along the way. It’s an idea I think we all want to embrace, but the process of getting there (and I am by no means there) is less direct than we would like. Originals is a book that challenged my thinking. 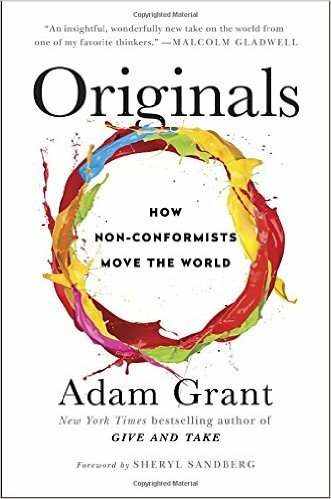 Adam Grant explores a number of qualities we typically associate with being an original and does a little mythbusting along the way. Grant is a great storyteller, and he’s got a wealth of tales worth telling here. It’s worth noting that this is book is one that I listened to as an audiobook, and it presents well in that medium. 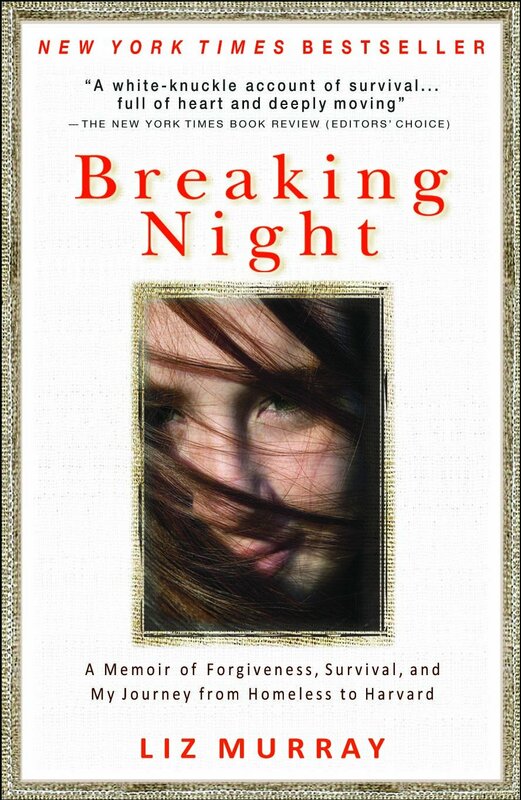 I came across Breaking Night after hearing Liz Murray speak in my school district recently. To say the least, there’s a lot of story for her to tell; she manages the task brilliantly, and that makes her book both enjoyable and tough to take. Oversimplified, hers is the “Homeless to Harvard” story that’s the stuff of movies (literally–there’s a Lifetime movie that tells her story). But more than one of accomplishment, Murray’s is a story of the value of education and mentors and hope. Tough, but well worth the time it takes to invest. The Sketchnote Handbook is a great introduction to sketchnoting. 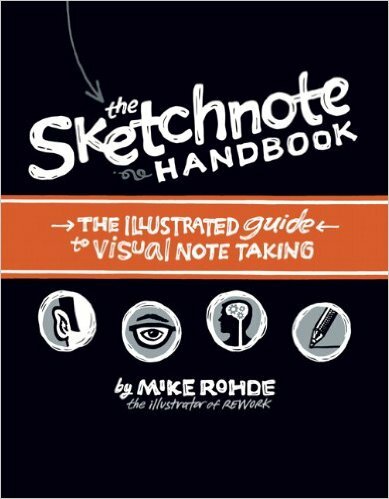 Admittedly, I’m the guy who just needs to jump into something like sketchnoting; that being said, Mike Rohde’s book was just what I needed to develop a foundation of skills for myself. Can I sketchnote anything live? No. It looks like my 4 year old drew it. But given the time, I can put the ideas into practice and create something I’m proud of that I wouldn’t have dreamed of in the past. To me, that makes it worth it. Maybe you’ll think so, too. If you’re not familiar with Pernille Ripp’s work, you’re missing out. Passionate Learners: How to Engage and Empower Your Students will undoubtedly challenge educators to engage students in innovative and creative ways. In concert with vignettes from her 7th grade students, Ripp challenges educators to develop our students into passionate learners. Don’t read this if you don’t want to be challenged. You’ve been warned. I’m a big fan of The Relevant Educator by Tom Whitby and Steven W. Anderson. Both authors are connected leaders, and their text is a fantastic primer for any educators looking to get connected. The slim volume (it comes in at 65 pages in length) covers how to guide your professional development, choose the best social media options for you, and transfer your new knowledge back to your campus. This highly recommended text you can read in a sitting is part of the Corwin Connected Educators Series. Content Curation by Steven W. Anderson provides a great deal of insight for educators who are looking to sift through the vast amount of resources that are out there for educators today. He offers tips on platforms to use, ways to schedule posts, what to schedule, and why to take content curation seriously. If you’re drowning in the great resources out there or feel like you can’t keep up with all the good material, this is for you. Since it’s part of the Corwin Connected Educators series, this, too, is a quick read full of valuable resources. This blog wound’t exist without this book from Starr Sackstein. I picked up the book with an interest in blogging but no confidence. By the time I was halfway through, I had the tools I needed to get a blog off the ground and share a few ideas with other educators online. It’s succinct, it’s informative, and it’s required reading for anyone looking to blog as an educator. Eric Sheninger’s Digital Leadership explores why schools must change, how they can make meaningful change happen, and how educators can help make the desired change a reality. He touches on communication, public relations, branding, reimagining learning spaces on campus and many more aspects of digital leadership that educators today wrestle with. Highly recommended reading! 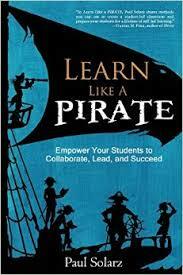 Teach Like a Pirate by Dave Burgess is a great place to start for fresh ideas about classroom instruction. This slim volume is packed with great information for new and veteran teachers. 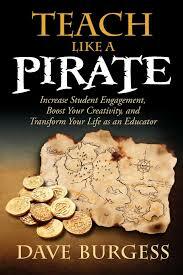 In addition, a great community exists on Twitter around the #tlap (like Teach Like a Pirate) hashtag. If you read one book on instruction, read this book. If you’re ready for a change in your classroom, Ditch That Textbook is for you. Matt Miller’s recently released text highlights ways that educators can make changes in their classrooms for the better. Interested in more than incremental change? This is for you. Miller explores new mindsets and methods for adopting those in your classroom. You won’t want to miss it. Benedict Carey’s How We Learn takes an educational spin on much of the research that has happened recently on the brain and how we learn. Carey makes his way through a great deal of research to provide readers with applicable tips for how they can learn best (and how they can help others learn well, too). He takes multiple factors that impact learning into account without dwelling on research or skimming along the surface of this important conversation. Jim Knight’s Focus on Teaching offers a wealth of strategies for using video in the classroom. If you’re creating video in the classroom, you should read this. If you’re flipping your class, you should read this. If you’re an administrator looking to use video for coaching, you should read this. His highly readable text will benefit you now and for years to come. Check it out. Jim Burke’s What’s the Big Idea challenges educators to reframe units around questions. His big example is moving from a study of Steinbeck’s Of Mice and Men to an investigation of this question: Am I my brother’s keeper? This text was transformational for me when teaching English, and I hope that it is beneficial for you as well! 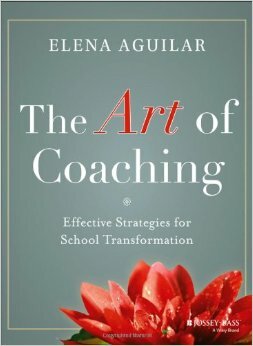 Elena Aguilar’s The Art of Coaching is a great text for educators looking to change the way help is offered to teachers. A coaching model can be transformative for a campus, reshaping our mindsets about how we learn as educators and forcing us to realize the uncomfortable feelings many of our students associate with dealing with their imperfections. This isn’t the only coaching text, but it’s a great place to start your journey into this mode of thinking. This might seem like an odd choice, but How Google Works has had as much impact on me when considering school culture as anything I’ve ever read. As you might expect, you’re not going to find any information about programs, policies, or education lingo here, but the mindset that makes Google so impactful is evident on every page. Authors Eric Schmidt and Jonathan Rosenberg are experts in their field, and they are both wildly intelligent individuals. We would benefit greatly from listening carefully to their take on what makes Google work. Work Rules gives more specifics to the overview provided in How Google Works. Laszlo Bock takes time to get into the nitty gritty of how to shape an organization. Again, you’re going to find a model here that can be transferred to your campus, but you’re not going to see a plan specific to schools. This one isn’t for everyone, but if you enjoyed How Google Works at all, I recommend you at least check this out to see if you’re interested. A.J. Juliani’s Inquiry and Innovation in the Classroom is a great place to start the conversation about making changes for the better for students. If you’re looking for fresh ideas on 20% time, genius hour, and PBL, this is for you. It also serves as a great intro to each idea if you’re looking for a primer on any of the topics. If you find that 20% time or genius hour is something you’d like to learn more about, Kevin Brookhouser’s The 20time Project is worth investigating. Brookhouser explores why (because “we need wicked problem-solvers”) in the first half of his book before concluding with how to pull that off both in the classroom and across a campus. Creative Confidence by Tom and David Kelley challenges readers to reimagine their previous conception of creativity. If you think you might be a creative person, but you’re not creative in the conventional sense of the word, this book will help you see where you (and others) truly are creative. I really enjoyed the challenging ideas that the Kelley brothers share here! Ken Robinson’s recent book, Creative Schools, offers readers an overview of creativity in schools with Robinson’s trademark wisdom and wit. His text is both readable and challenging, encouraging and motivational. It’s an easy read with big ideas for the reader to consider. If your’e a person who likes inspirational education quotes, you can’t miss this! 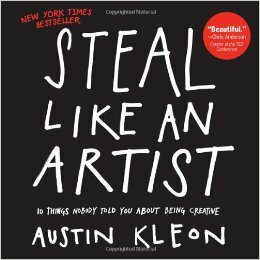 Steal Like an Artist is a quick read that will leave you thinking for a long time. It has pushed me to think more creatively, share more openly, and believe that more is possible. For this guy who didn’t use to think creativity was in my wheelhouse, I’m quite thankful to have stumbled upon a text like Austin Kleon’s. 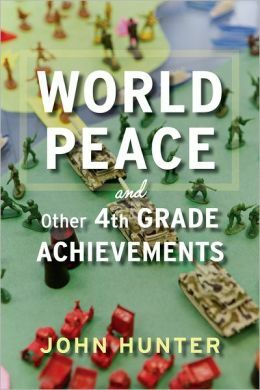 I can’t remember how I came across John Hunter’s World Peace and Other 4th Grade Achievements, but I’m glad I did. Hunter details how project based learning helped his 4th graders tackle some of life’s biggest problems, and he does so in a way that leaves you thinking that you can take on this kind of challenge, too. I enjoyed the text, and I think it would be a great place to start opening up other’s minds to the possibilities of PBL in the classroom. So, this is a lot. But I hope that there’s something here that piques your interest. Over the summer, take time to look through a few of these–even if you just do so while visiting a local bookstore. Check out something that will help make you better when next school year starts up. Happy reading! It’s on my to be read pile (which is really more of a to be read mountain these days)! Thanks for mentioning it here! I love your book choices, Aaron. I’ve read most of the books on your list. A few titles I would add include: Creating Cultures of Thinking by Ron Ritchhart, the classic The Leadership Challenge by Joames Kouzes/Barry Posner, Influencer by a whole group of authors, Leaders Eat Last by Simon Sinek, Shifting the Monkey by Todd Whitaker, Pure Genius by Don Wettrick (and all books published by Dave Burgess), and almost any book by John Maxwell or Jon Gordon. I better stop! There are so many great choices! Thanks Aaron for your suggestions!